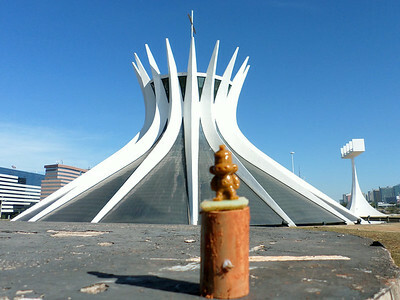 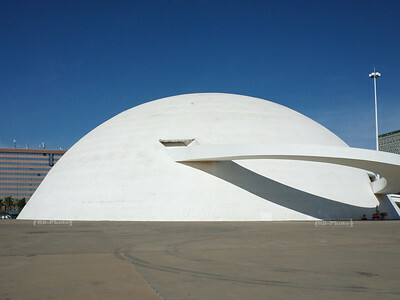 Oscar Niemeyer (1907-2012) designed several versions of the museum for the capital's cultural sector. 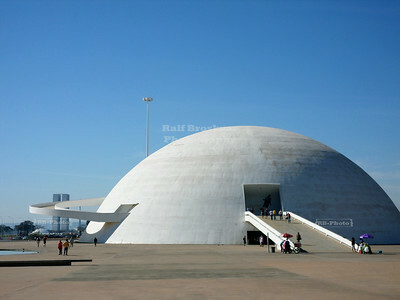 The current proposal was shaped like a spherical dome with 245ft (75m) in diameter in 2002. 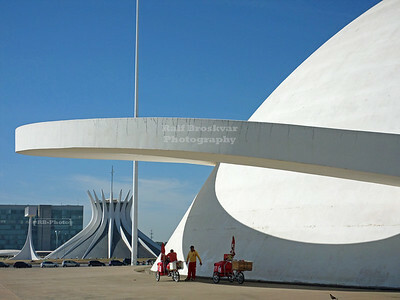 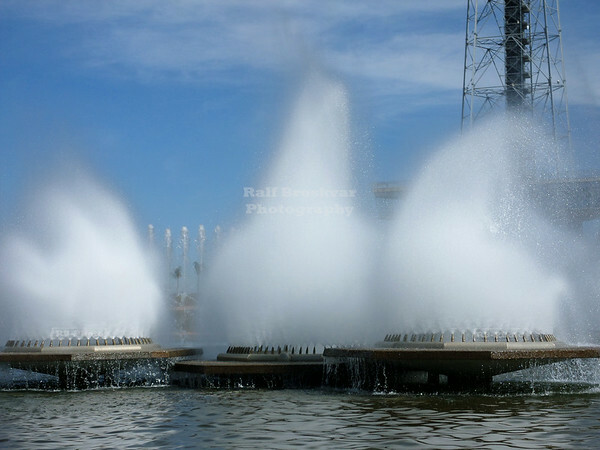 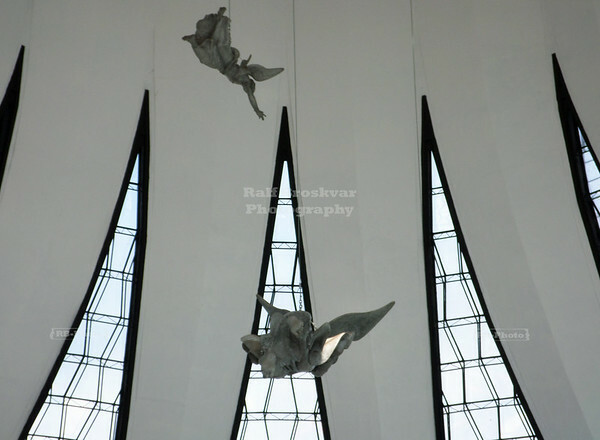 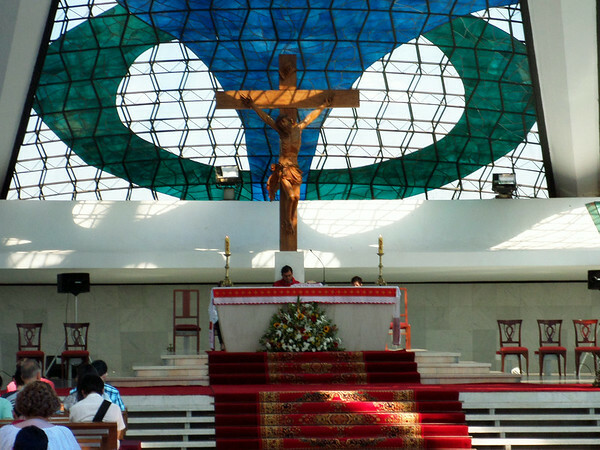 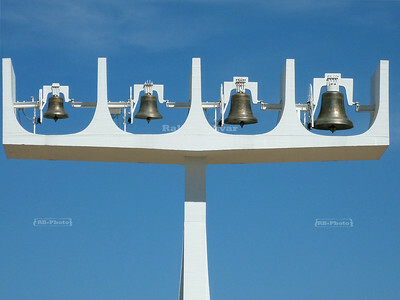 It was inaugurated on December 15th, 2007, on the architect's birthday. 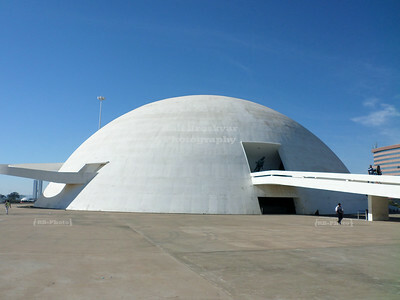 Its four levels contain auditoriums, a first-floor gallery, the main exhibition space, and a mezzanine gallery. 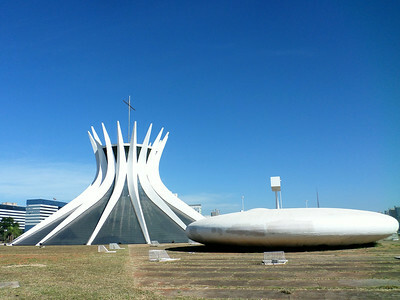 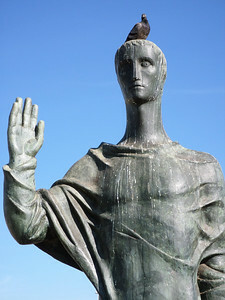 It is named after Honestino Guimarães, a university student leader killed in 1973. 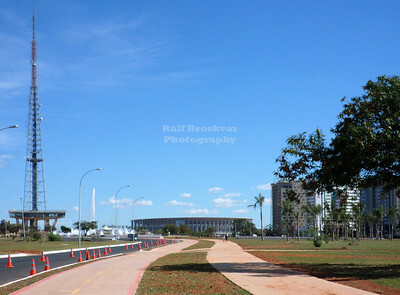 Leonel de Moura Brizola National Library in Brasilia. 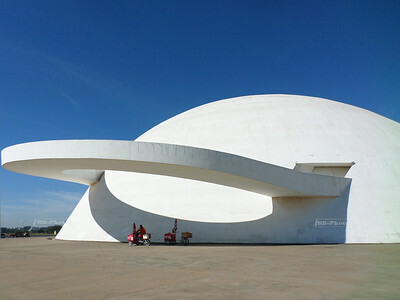 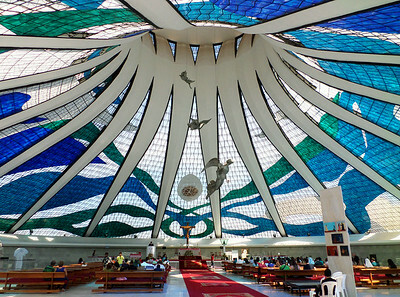 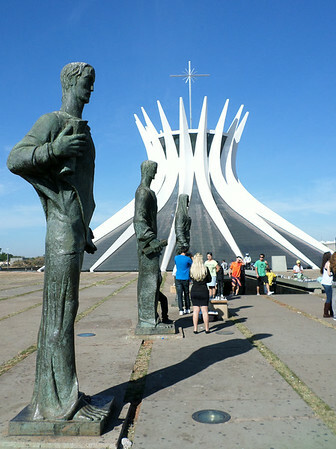 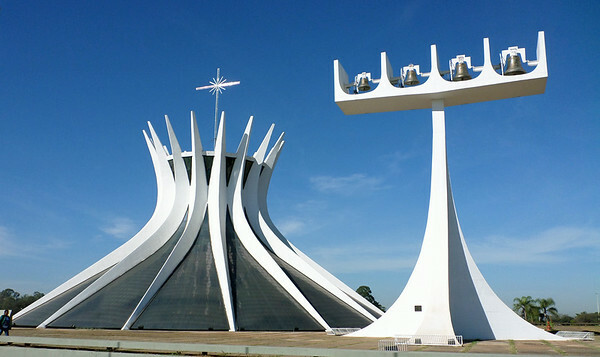 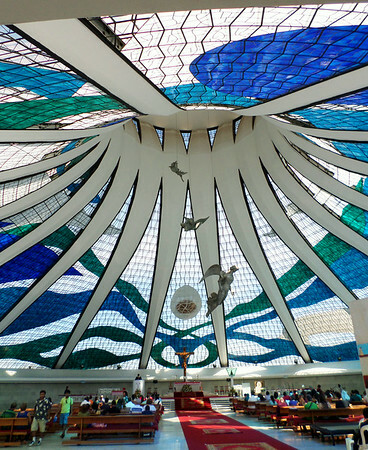 Opened in 2008, it was designed by Oscar Niemeyer (1907-2012). 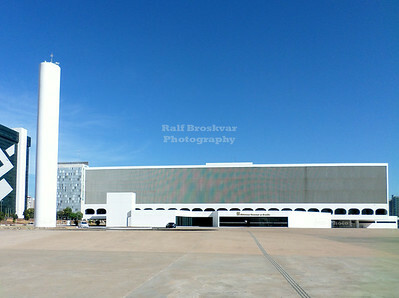 Its prism-shaped main main block, with four stories on pillars, contrasts with the National Museum. 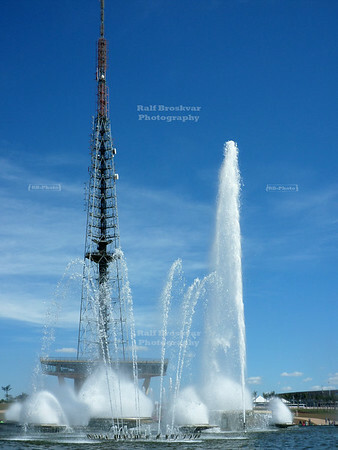 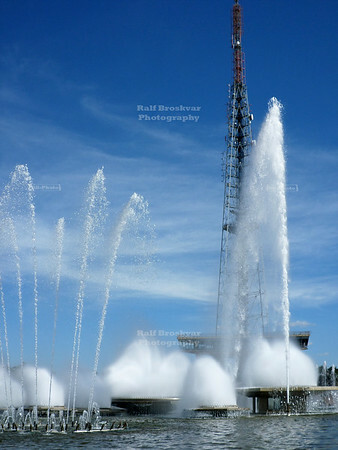 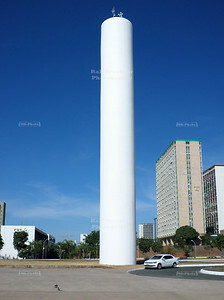 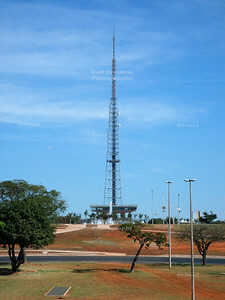 Brasilia TV Tower Designed by architect and urbanist Lucio Costa (1902-1998), it opened on March 9th, 1967. 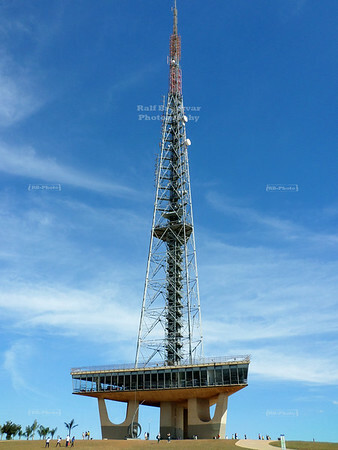 Its 750ft (230 m) high antenna broadcasts radio and analogue TV. 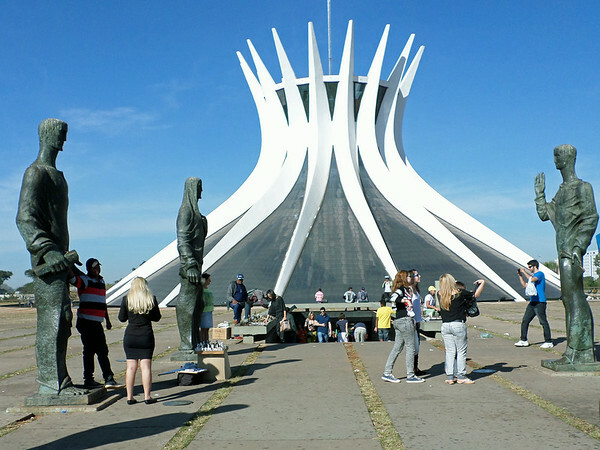 It sports a mezzanine 80ft (25m) up, and a belvedere 245ft (80m) up, providing a bird's eye view of the entire layout of Brasilia.